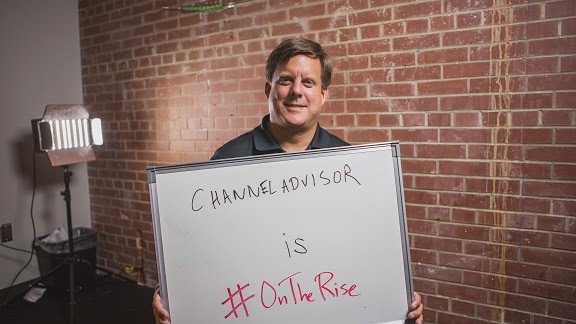 David Spitz is president and chief operating officer of ChannelAdvisor and 2014 chairman of the Council for Entrepreneurial Development (CED). I am what they call a “serial entrepreneur.” Before joining ChannelAdvisor and taking it public last year, I built two software companies in the Triangle and sold them both. I’ve been lucky to have success. And I’ve learned a lot along the way. Recently I was asked what advice I’d give to entrepreneurs just starting out. There’s so much to say on that front, but let me boil it down to three major lessons that have served me well. In fact, I wish somebody had told me these 20 years ago! No. 1: Listen to your customers. Over many years of starting companies and making mistakes and having some success, I learned that a lot of entrepreneurs get focused on fundraising or other business milestones that are interesting, but may not necessarily create value. It’s also easy to get “heads down” in the trenches, laboring in pursuit of a perfect product. Striving for excellence is a good thing. But the perfect is definitely the enemy of the good in entrepreneurship. It’s better to build a product relatively quickly, get it into the hands of customers and start gathering feedback. You need this “airing out” so you can make adjustments and truly meet the needs of the market. Especially when you’re starting out, you don’t have a lot of resources to waste going down the wrong path for too long. Listening to customers and getting market validation early and often is critical. No. 2: Don’t neglect sales and marketing. I'm a technologist and a self-described “nerd.” I like to play with technology just for fun. That’s great. It’s what sparks innovation. But technologists like me can sometimes assume that if we build a great product, the world will beat a path to our doors. Not so. It took me a few years to realize that no matter how good a product is, you have to market it. You have to sell it. You have to really put forth that effort to get it into the hands of your customers – and on the radar screen of all the thought leaders and opinion makers who can generate buzz. Don’t underestimate the importance of sales and marketing. Having talented sales reps and marketers on your team is every bit as important as has having great engineering talent. No. 3: Build your network. There’s a myth out there of the heroic entrepreneur who does it all on his or her own. But that’s just what it is: a myth. Most of us need a lot of help from people around us to be successful. You need to build your network. Having a mentor can be an enormous boost. Early in my career, I benefited from a couple of people whose accumulated wisdom was a great resource for me. I could turn to them in total trust if I had questions about how to deal with something or what path to take. Peers and entrepreneurial support groups can also help keep you on the straight and narrow. I feel so strongly about the power of “the network” that this year I am chairing the Council for Entrepreneurial Development (CED). If an entrepreneur wants to really plug into a deep pool of experience, CED is a great one-stop shop for that. It is the connective tissue that helps entrepreneurs get the resources they need in the Triangle. To see “the network” in action, be sure to check out the CED Tech Venture Conference 2014 this Sept. 16-17 at the Raleigh Convention Center. You’ll be amazed at the conversations you’ll strike up and the amazing people you’ll meet.